Kiawah Island is a private beach resort located 45 minutes from historic downtown Charleston. Kiawah is known for its natural marsh and beach setting and also for its world renowned amenities. One of its 7 premier golf courses (the Ocean Course) hosted the 2012 PGA Championship, and Tennis magazine recently ranked its tennis facilities #1 for Greatest US Tennis Resorts. In addition to top notch amenities, you'll also find 10 miles of sandy beaches and more than 30 miles of walking trails. Are you looking for specific features in a Kiawah Island home? Tailor your search for homes that fit your needs perfectly. Search listings by year built, waterfront type, master bedroom upstairs/downstairs, and many more options! Kiawah Island is ideal for home buyers who want to be removed from the hustle and bustle of Charleston but still want to be within an easy drive of the city. In fact, Kiawah's seclusion makes it a popular destination for public figures and business executives from around the country. Kiawah has some of the priciest real estate in all of Charleston SC, and its luxury homes boast cedar shake siding, metal roofs, and copper detailing that give Kiawah homes a style all their own. Kiawah is divided into two main sections, and each is accessible by a gate pass. Through the first gate you'll find Kiawah Resort, while through the second gate you'll find the residential/private side of Kiawah where amenities are reserved for property owners only. The Resort side of Kiawah is located just past the initial gated entrance of the island, and it's dedicated to vacationing guests. Although this section has plenty of real estate options, many of these are placed on rental programs throughout the year. Some of the most affordable real estate can be found in East Beach Village. These condos and town homes are within walking distance of The Market, which offers a grocery store and amenities. The majority of homes in East Beach Village were built in the 1980s. Although some have already been renovated, many of these still need to be updated. East Beach Village is known for the Jack Nicklaus designed Turtle Point Golf Course, which offers ocean views on several of its holes. Also, Night Heron Park provides 21 acres of intramural fields, picnic areas, and a kids' playground. West Beach Village was one of the earliest sections of the island to be developed, and it's currently undergoing renovations. Here, you'll find the Cougar Point Golf Course and also the West Beach Racquet Club (which has 14 clay and 2 hard courts). One of the most popular subsections is Windswept, which has town homes starting around $400K and going up to more than $2 million for a beachfront villa. 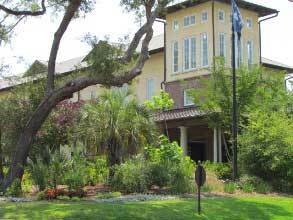 The Sanctuary is a five star hotel located on Kiawah's beachfront. Guests can choose between 2 outdoor pools (1 for families and 1 reserved for adults) as well as an indoor pool. It offers a concierge service for beach umbrellas, chairs, and towels. The Sanctuary is a popular destinaton for weddings because of its impressive selection of venues, from its ballrooms to its Grand Lawn (overlooking the ocean) to the beachfront. The Sanctuary is also popular for its Low Country cuisine. Jasmine Porch offers local seafood and overlooks the ocean. Loggerhead Grill has a more relaxed pool side setting and also boasts great beach views. The Ocean Room has made a name for itself on the island based on steaks and wine alone - although the other menu items are tasty, too. This is the only hotel on the island, so its 255 rooms are in demand year round. 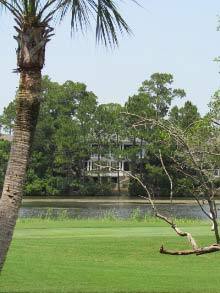 The main residential section of Kiawah lies past a second gate. Only property owners are allowed access to this part of the island. 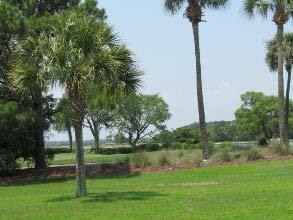 As the most exlusive section of Kiawah, real estate options range from about $1-8 million. You'll find most of the homes for sale in Vanderhorst Plantation, which has a great selection of not only beach houses but also homes overlooking the golf courses. 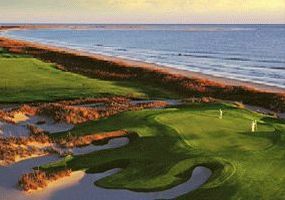 The Ocean Golf Course is perhaps the best known of Kiawah's seven golf courses. This was the site of the 2007 Senior PGA, and it also hosted the 2012 PGA Championship. Only three other courses in the country can boast hosting both major championships in PGA of America. Other mentions include hosting the Ryder Cup Match in 1991, the World Cup of Golf in 1997, the UBS Cup in 2001, and the PGA Professional National Championship in 2005. The course was also featured in the movie The Legend of Bagger Vance in 2000. The Ocean Course was built by Pete Dye in 1991, and it's known for its incredible ocean views. In fact, no other golf course in the Northern Hemisphere offers more seaside holes. 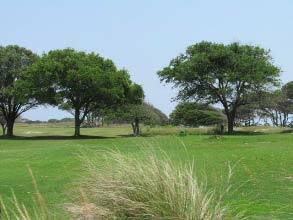 You'll find 10 holes right along the Atlantic Ocean, plus eight that run parallel to these. Golf Digest recently named The Ocean Course 25th in their 100 Greatest US Golf Courses (the magazine also named it America's Toughest Resort Course due to the wind coming off the ocean). 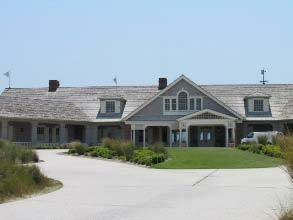 Also, the Ocean Course club house (pictured) has The Atlantic Room, which is known for its seafood. The other main golf course in Vanderhorst Plantation is Osprey Point. 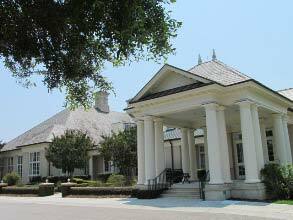 It has one of the nicest club houses in Charleston and is home to the Cherrywood BBQ and Ale House. This is a great place to try ribs, brisket, burgers, local beers, and (of course) bar-b-que. Osprey Point Golf Course was designed by Tom Fazio and centers around four natural lakes, maritime forest, and saltwater marshes. Osprey Point remains a favorite among local and visiting golfers because it's one of Kiawah's most playable courses. Kiawah real estate is ideal for home buyers who want seclusion and unbeatable amenities. On an island where club membership ranges from roughly $50K to $150K, amenities are a top priority (you can read more about memberships below). Kiawah is the only area of Charleston that can boast seven golf courses: Cougar Point, Oak Point, Turtle Point, The Ocean Course, Osprey Point, The River Course, and Cassique. Home buyers looking for a golf community often choose Kiawah not only for the number of courses located on the island, but also for its caliber of play. Kiawah offers a quality of golfing that is difficult to find, even among beach resorts that cater exclusively to the sport. You'll find homes located on all seven of Kiawah's golf courses, so price and availability will be some of the only factors affecting where to live on the island. 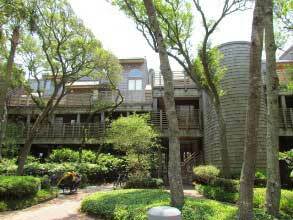 Waterfront real estate on Kiawah starts around $450K for a condo or town home that overlooks one of the many lakes and lagoons on the island. You won't find as many condos and townhouses that are marshfront (compared to lakefront or beachfront, where most of these properties are concentrated). However, these usually run around $750K. In the current real estate market here, marshfront houses start around the $1 million mark. Beachfront homes fetch the highest real estate prices because they bring the highest demand from home buyers. Of the 6 beaches in Charleston, Kiawah is the most expensive for purchasing homes on the ocean. Beachfront condos and townhouses start around $900K. (These are often called villas – a term that is usually only used in the Seabrook and Kiawah real estate markets). Single family houses on Kiawah's beach start in the $3-4 million range. One of the biggest misconceptions among Kiawah home buyers is regarding membership. Many home buyers assume that if they buy a $400K condo, they'll automatically be able to join the Kiawah Island Club and enjoy full membership privileges. However, this is not the case. Of all the Charleston areas, Kiawah has the most exclusive club membership (and perhaps the priciest). To become a member, you'll have to purchase a property with a membership already attached to it. These properties are generally not condos or townhouses. Rather, most of these are single family houses priced around $1 million or more. Although it's possible to purchase a property with a Social Membership and get on the waiting list for a more inclusive membership (like the Sports or Golf Membership), know that it may take several years for one of these higher positions to become available. The only way to ensure that you get a full membership is to purchase a property with a Golf Membership already attached to it. Also, once you obtain a membership, it stays with the property (not the individual person or family). Social Memberships charge a deposit of $50,000 and have a monthly due of about $470 for residents. The Social Membership does not grant golf access but allows for dining and beach club privileges. The Sports Membership costs $100,000 with a resident monthly due of about $830 for a family and $700 for an individual. This includes the dining and beach club privileges of the Social Membership but also grants you restricted golf access. The Golf Membership costs $150,000, and monthly dues for residents run about $1,175 for a family and $1,030 for an individual. Having a Golf Membership gives you the freedom to get advanced tee times. Freshfields Village is located just a few minutes off the island and has several shops and restaurants to choose from. You can grab a sandwich at The Station, do your grocery shopping at Newton Farms, or get pizza at La Tela. SeaCoast Sports and Outfitters should be able to accomodate most of your outdoor sporting needs. Vincent's Drug Store has great ice cream and burgers (their fountain drinks are some of the most popular items on the menu). Between the dining and amenities on Kiawah, and the shopping and restaurant options at Freshfields Village, you'll have a good selection of things to do - all within a walk or a few minutes' drive from your home. And of course, downtown Charleston is about a 45 minute drive and offers city-scale entertainment options, from movie theaters to ballet theaters. One of Charleston's most exclusive resort communities, Kiawah Island is a perennial favorite for permanent residents and visitors alike. Along with Seabrook Island to the south, Kiawah Island is the destination for those looking for privacy, luxury, and recreation at a pristine location. 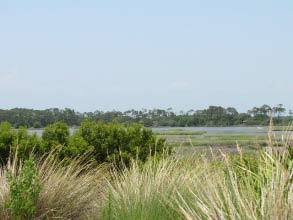 A modest thirteen square miles, Kiawah Island is currently home to approximately 1,200 permanent residents. This barrier island is an excellent location for those looking for a home where they can "get away from it all" but still be close to the culture and excitement of metropolitan Charleston. 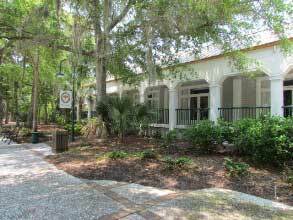 Kiawah Island's other great attraction is its internationally recognized recreation facilities. The Kiawah Island Resort opened in 1974 and currently has five world-class golf courses to challenge the skill of novices and experts alike: the Ocean Course, Turtle Point, Osprey Point, Oak Point, and Cougar Point (resort guests are not allowed access to Cassique or The River Course). The Ocean Course has hosted not only the Senior PGA Championship, but also the Ryder Cup. The Kiawah Island Golf Resort was voted the "#2 Golf Resort in the U.S." by T+L Golf Magazine. Along with golf, Kiawah Island is also home to world class tennis facilities (Tennis.com ranked it the "#2 U.S. Tennis Resort in the USA"), fine dining, spas, and miles of trails for hiking, biking, or running. As a private island, only home owners and those renting vacation units have truly unfettered access at Kiawah Island. While there is paid public access at the county park on the southern tip of the island, this is the only real exception to the privacy enjoyed by Kiawah Island's residents.